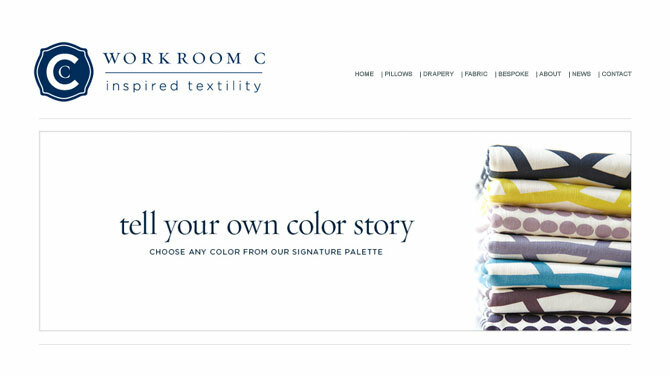 WorkRoom C has created a new line of customizable pillows, drapes and fabrics. 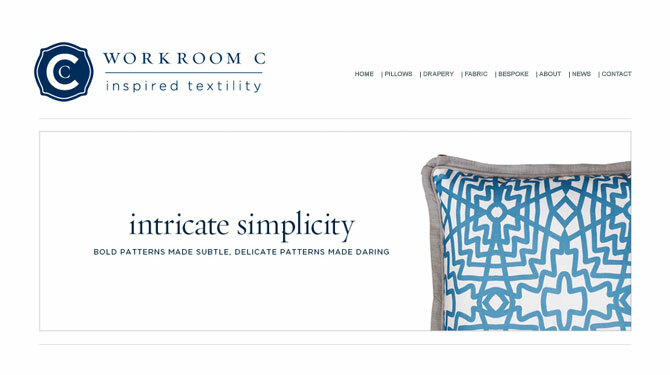 We designed graphics for the retail website featuring WorkRoom C’s designer patterns, custom palette and unlimited options. 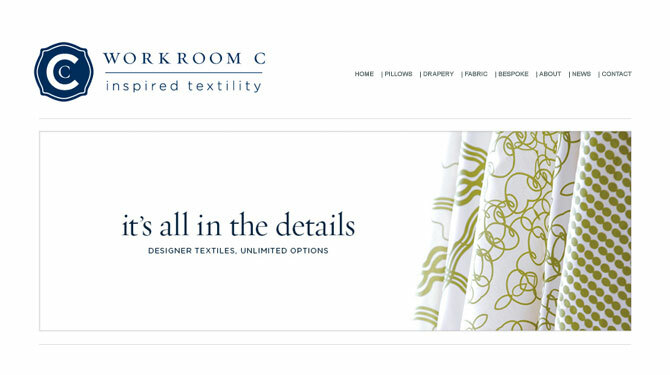 WorkRoom C has been featured in the San Francisco Chronicle and California Home and Design.